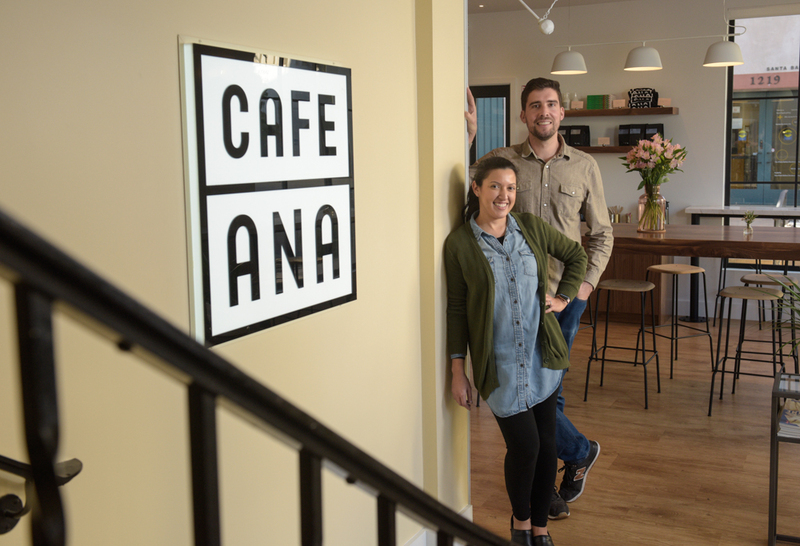 Katherine Guzman Sanders and Julian Sanders spent two years renovating the old Coffee Cat into Café Ana, which is now serving gourmet toasts and many other breakfast, lunch, and dinner options, crafted by Chef Ryan Whyte-Buck. 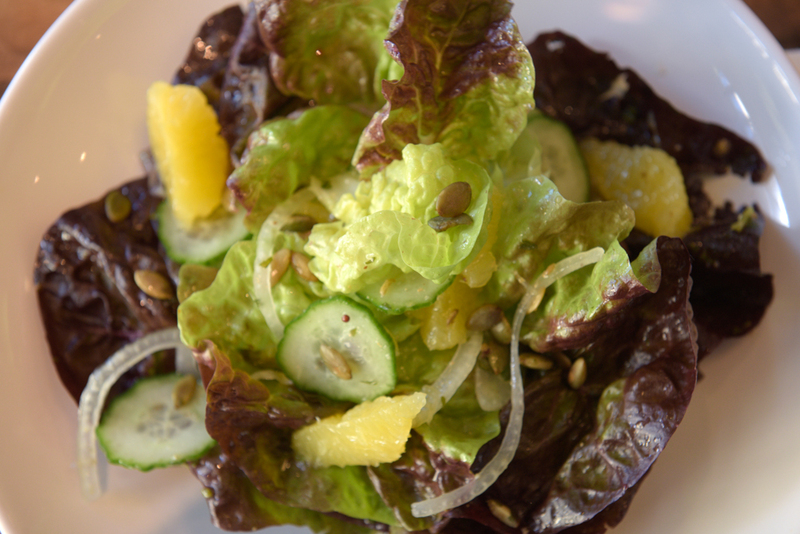 The Santa Barbara culinary scene can often seem stodgy — so slow to move thanks to old money set in older ways and because tourist dollars are easy targets for turn-and-burn spots that serve mediocre food. Or maybe paradise simply doesn’t need amazing eats on every corner, because it’s so darn easy-living beautiful anyway. Plus, the food has a creativity and elegance befitting a chef who’s worked at hotspots in both New York City and Portland, Oregon. A house-made yogurt might not seem too surprising on a breakfast menu, but here it comes with mulberry birdseed granola, açaí, and miso-honey. 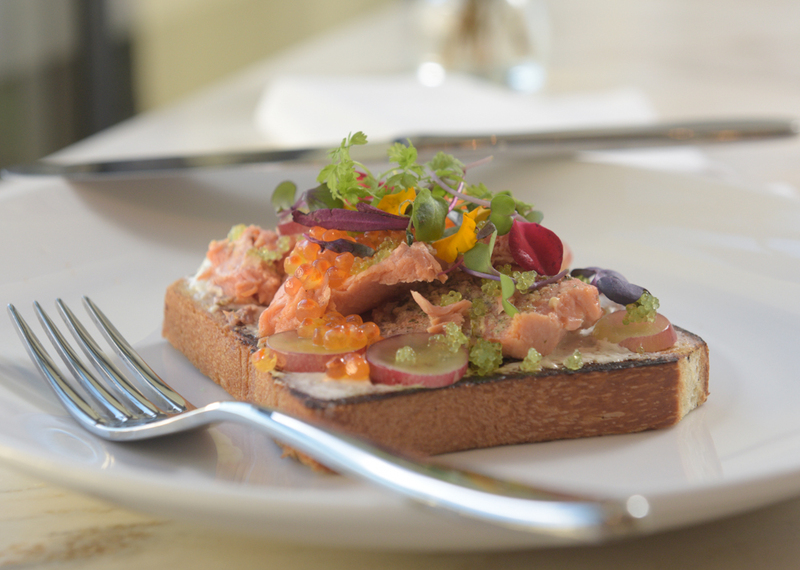 During lunch and dinner, their house-made pâté will make Francophiles weep with joy. Then there’s a daily carta de musica, a sandwich of sorts on the thinnest of breads (crackers, practically) that comes from Sardinia originally and was beloved by Anthony Bourdain. Katherine’s husband, Julian Sanders, has a grander first-job story: Out of college, he landed a spot at Little Nell in Aspen, Colorado. “It’s got the biggest Burgundy collection in the United States,” Sanders explained, “and that stuck.” After many other positions, including time at Wine + Beer in the S.B. Public Market, the certified sommelier is happily in charge of Ana’s beverage program. “The list is definitely international, starting small, and will grow,” he explained. 1201 Anacapa St., 888-0262, cafeanasb.com.